Flat panel antennas consist of one or more radiators in front of a reflector panel. 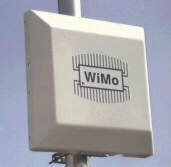 This design leads to very flat and therefore robust and unobtrusive antennas, combined with high gain and high bandwidth. Very useful for packet radio user access or for the local ATV repeater. Our flat panel antennas are made from waetherproof aluminum, all mounting hardware is stainless steel. All antennas can be mounted for horizontal or vertical polarisation and come including mounting bracket. 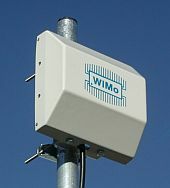 For extreme weather conditions some antennas are provide with a radome (cap), making them ideal for repeaters at remote lcoations with adverse weather. Similar to PA-13R, mast mounting up to 50mm.